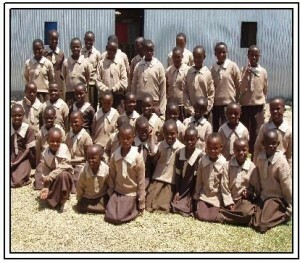 In January of 2009, I traveled with a group of Minnesotans and to raised funds for a much-needed medical clinic at Light of Hope Children’s home in the Karati region of Kenya. Mount Kilimanjaro is the highest freestanding mountain in the world. The clinic will serve a population that has very little access to basic medical care. 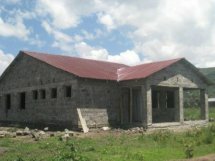 The cost of building the clinic is about $150,000. I along with my teammates, self-funded the expense of the climb by donations from individuals and corporate sponsors. Every donation went directly to the building of the medical facility. What is Light of Hope? 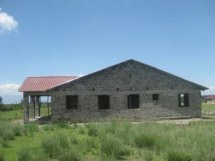 Light of Hope is an orphanage for girls situated on 8 acres of land in the Karati region of Kenya. Founded by Sandy and Boniface Karanja in 1998, it currently houses 25 young girls with hopes of tripling its size to 75 in the future. 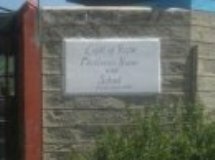 Why is a clinic needed at Light of Hope? This region of Kenya is dramatically under served forcing many people in the area to walk at least 10 miles to find an already over burdened clinic. Please make your checks out to LMI with a memo: Mt. Kili. Send it to Myra Wang 464 2nd Street Ste 201, Excelsior, MN 55331. Every bit counts!! Donation receipt can be provided, please include your return address. Sponsor one of the girls residing at Light of Hope. A special thanks goes out to the following people for their generous contributions. Darren Acheson, Carol Peterson, Renny & Ian Acheson, Steve & Danielle Arlowe, Ruby and Josephine Arlowe, Jenny Artz, Donny & Lu Barrett, Linnette Werner, Jason Brelsford, Doug Carr, Lisa Nordstrom, Marc, Sue, Henry, and Nora Daniels, Rickie Davies, Amy Floden, Keri Gross, Nathan, Michel, & Elery Hardwick, Barb Ho, Marc & Michelle Hope, Evan & Shari Katz, Jim & Shanta Keeven, Roxann Keyes, Tom & Carol Kolodzinski, TJ Kolodzinski & Kelly Kirk, Jill and Dan Lawrence, Josh, Amy, Aurora, Isabel, Ava, Estelle, Axel, and Osborne Lorenz, Tim & Kris Molgren, Mark Newman, Chris & Karen Oei, Ed Oliver, Aaron & Janette Osterman, Lynn Overman, Andrea Pomeroy, Barb Shiels, Frank Preese, Laura and Sarah Preese, Nancy Putman, Ross Rogney, Eric & Beth Sagvold, Kurt & Eiko Sieber, John & Michelle Stoll, Jason & Molly Woods, Russ Miller, Colleen & John Fasbender, Lisa Ovsak, Waterstreet Clothing, Remember Me Photography, McBride Healing, Bella on the Bay, Lillians of Excelsior, Natalie Hagemo, Kim and Pete Wittmers, Gifted Baskets/Ooh La La, Meridian, Elise L’allier, Sue Hempel, Phillip Michael Properties, Mike, Neely, Cais & Bruce Wang, Rachel & Ed Wang, Marcia Wang, Naomi St. Gregory, Nora Kirkwold, Ron Hughes, to all who attended the Diva Party at Lillians and to those who visited me during Girls Night Out.